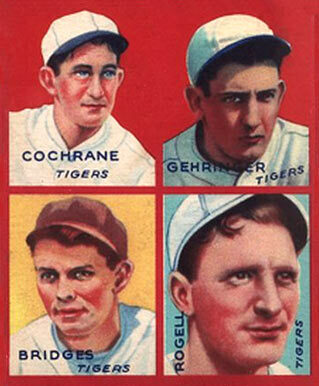 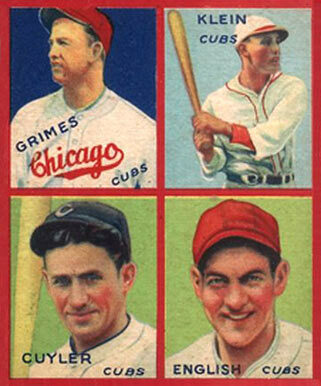 Goudey tried something different in 1935 by issuing these cards in 1935. 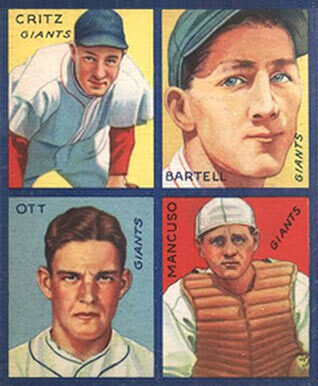 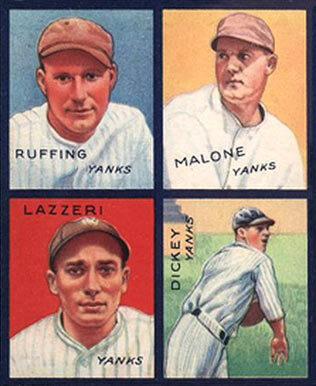 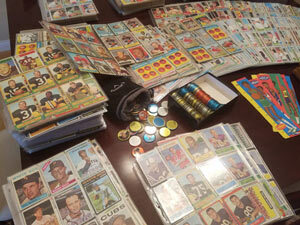 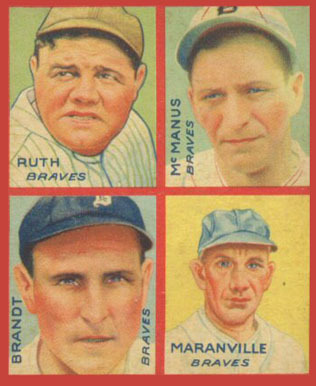 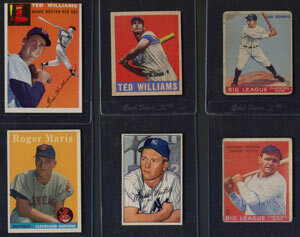 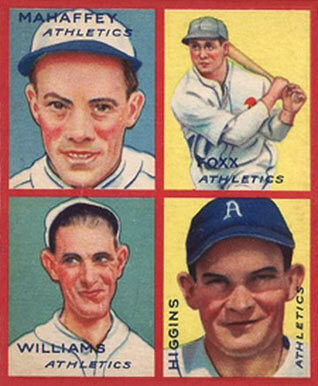 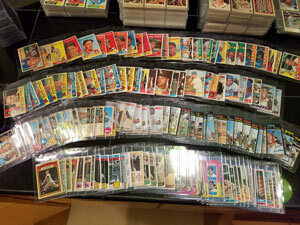 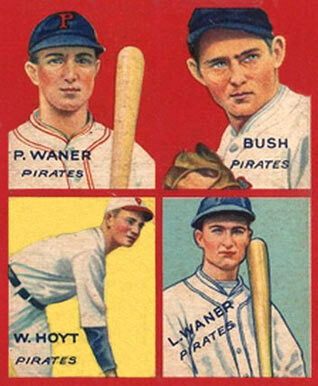 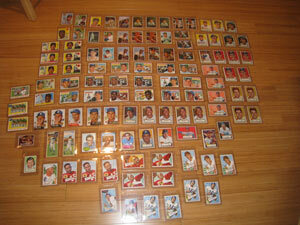 Fronts are color art reproductions with images from the 1933 set of 4 players in boxes. 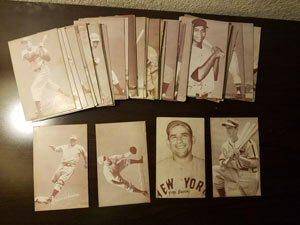 Backs are small pieces to 9 different puzzles combinations and not numbered. 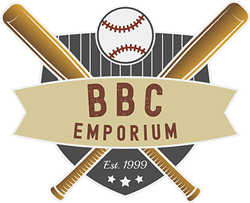 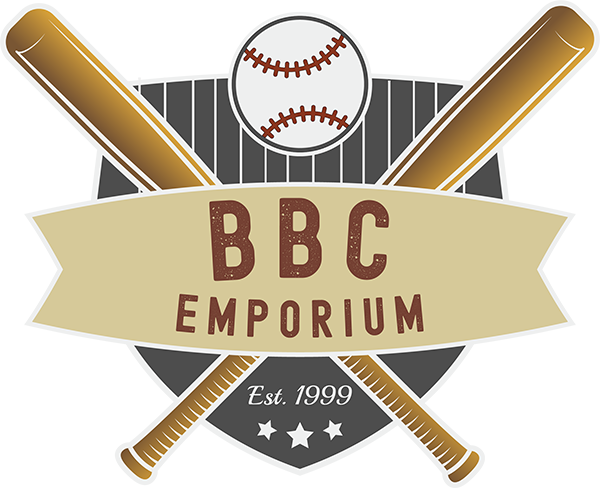 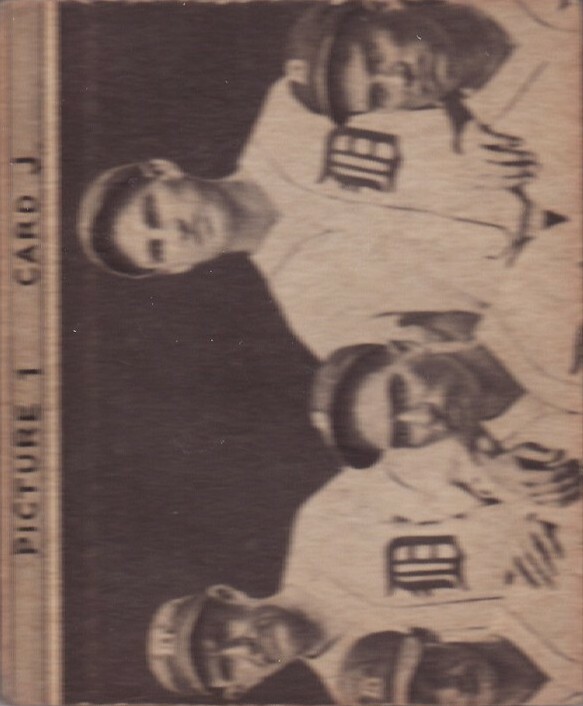 Puzzle possibilities are Tiger Team, Chuck Klein, Frankie Frisch, Mickey Cochrane, Joe Cronin, Jimmie Foxx, Al Simmons, Indians Team and Senators Team.